An exchange found it’s way to Egypt! 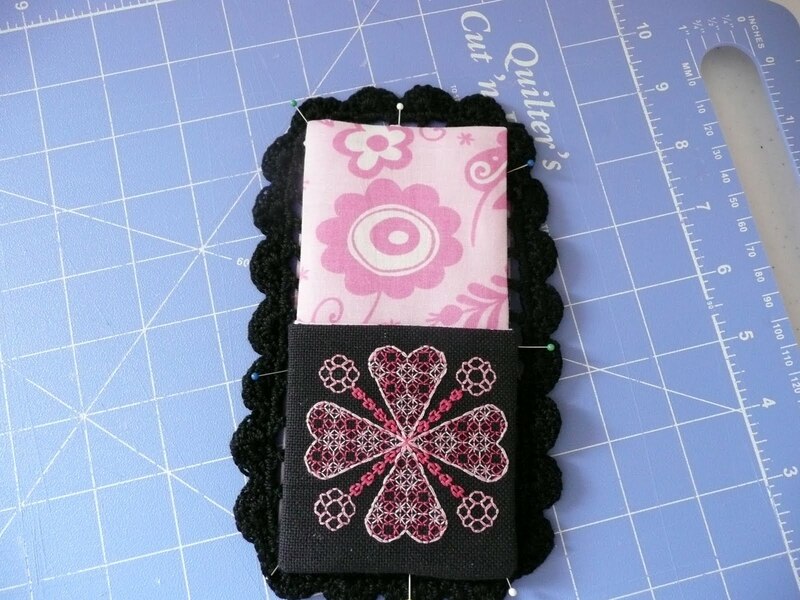 I heard from Karina (via Nita – thank you) that 1) she’s received the scissor pocket I sent and 2) she’s having computer problems. The computer thing seems to be going around – I think I’ll feed mine some extra Vitamin C when I’m done here. If I get done here – is anyone else having trouble posting? FYI – this sat for an hour waiting to “contact Blogger”. 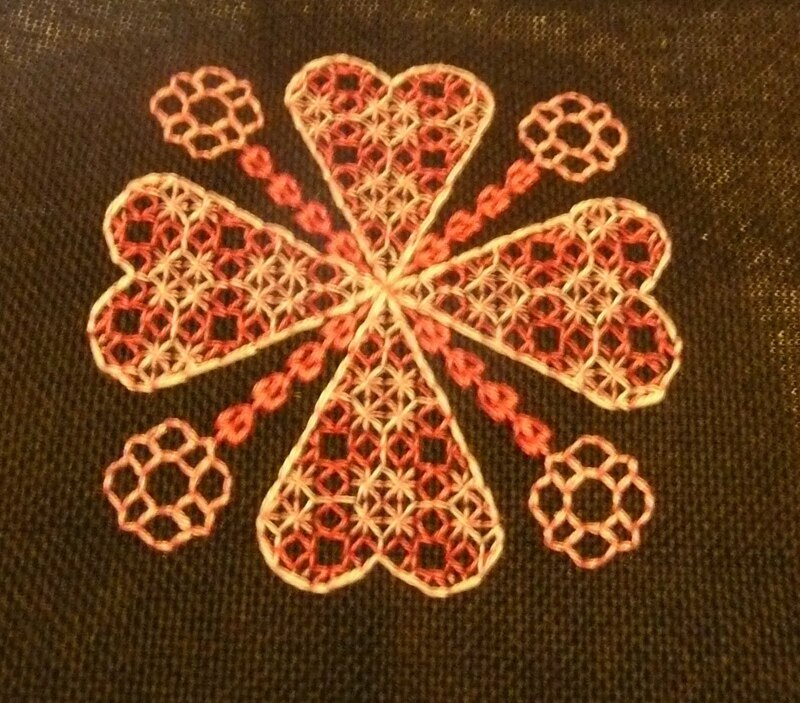 So here are some pictures of the pocket I sent her – the design is my own blackwork, inspired by the background fabric. Even thought the portion that really inspired it – longish heart-shaped leaves – isn’t showing. 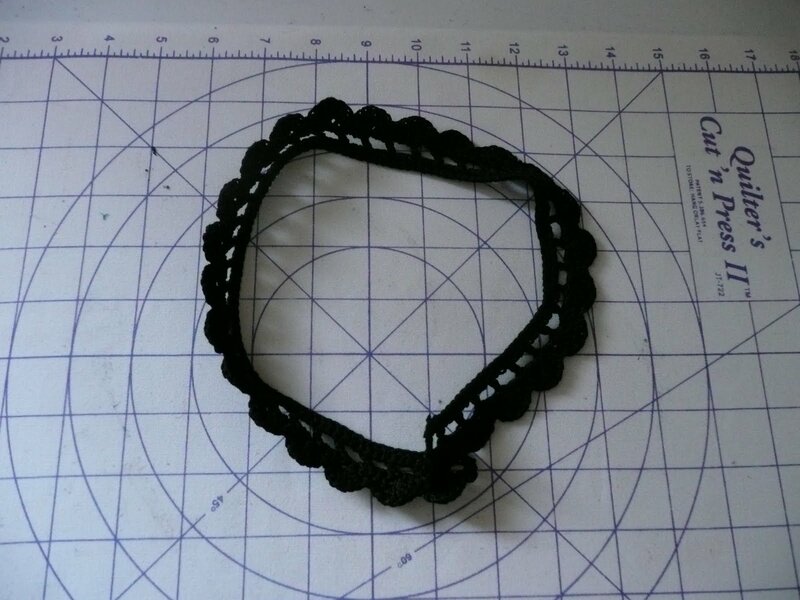 Here’s a close-up of the lace trim – from Kristi’s tutorial. Her pictures are much better. I'll be looking for your tutorial.